I love it, comfortable straps and is perfect for me. I use it to carry my MacBook Air and a spiral maybe a water bottle and snacks here and there. I would recommend! Job well done. And I love the look. 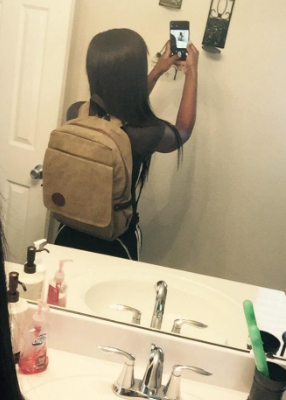 Love this backpack. Very simple, lots of good storage options without being convoluted, sturdy and goes with everything if you wear earth tones like I do. I really like this bag. The outer pocket has a tear in the stitching. I’m not sure if that’s a quality issue, or if it’s wear and tear from my use. I don’t use it everyday, and not abusive with it. Great canvas feel.